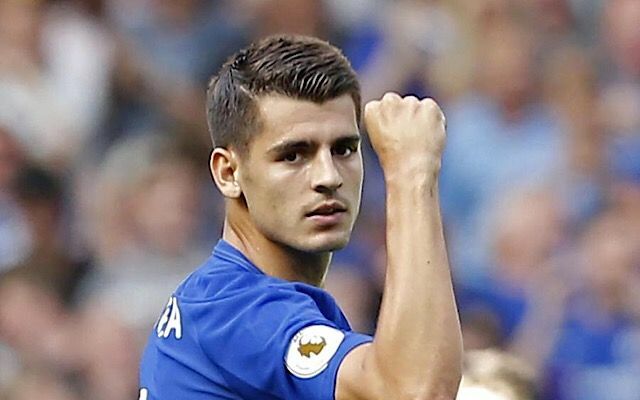 Chelsea boss Antonio Conte has revealed that he believes this is the right time for Alvaro Morata to become the star man and main striker at a top club. With Diego Costa on the verge of completing his move to Atletico Madrid, it finally brings an end to the saga over his exit and really clears the path for Morata. The Spaniard joined Chelsea this past summer from Real Madrid in a deal worth £58m, as per ESPN, with a view of being a regular starter at a top club to take his game and career to the next level, and Conte is ready to show the faith in him to do that at Chelsea moving forward. Michy Batshuayi will hope to have something to say about it as he’ll provide competition for Morata, but it sounds as though Conte is backing his summer signing to lead the line on a consistent basis and bring success to Stamford Bridge. “I think for Alvaro it’s the right moment to have this situation, to be the striker in a great team,” Conte said, as reported by ESPN. “He is at the right age to have this responsibility. “He is a good player, he is a complete player, technically strong, a good leader, and he has a lot of room for improvement. Morata is 24 years old which means you have possibility to work with this player for 10 years. Morata has shown his quality at both Juventus and Real Madrid previously, but he was never considered a guaranteed starter at either club. He now has the opportunity to establish himself as a leading figure at Chelsea, and Conte has certainly laid down the challenge for him. He’s responded well so far with three goals and two assists in six appearances for the Blues, but it will be about consistently delivering across an entire season.